Want to move CHEP trolleys easily? Then rent the Pallet adapter from the Palletcentrale! The Palletcentrale Groep BV has the patent and rights for the Pallet adapter. The Pallet adapter solves all your problems in relation to transporting and storing Container Centrals and CHEP rolly’s and dolly’s. With the user-friendly loading and unloading ramp, your rolly’s and dolly’s will be ready for transport in no time on the pallet adapter. 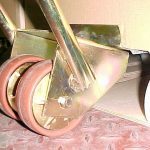 Several companies have so far enjoyed using the pallet adapter to secure their rolling displays and store them in the racks. 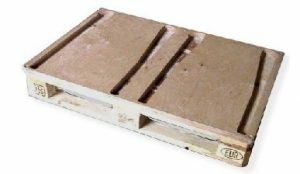 By renting the pallet adapter you achieve an efficient and cost-saving method. Do not hesitate to contact us without obligation to test our product.